When traveling, besides getting yourself into your journey in an entirely new country, exploring the tradition & culture, witnessing its own highlights, then your trip won’t absolutely be completely perfect without good accommodation, especially hotels. Also, in Nepal, that is not an exception. 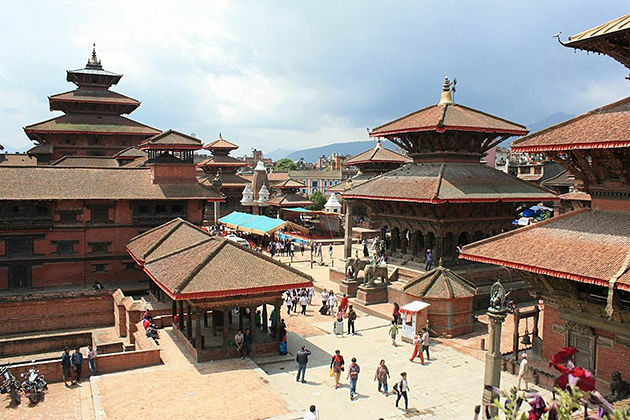 In your Nepal vacation, you might stay at hotels most of the time, then to help you have something useful about accommodation in such a beautiful country, I and this article would like to give you a hand to deal with finding yourself good hotels in Nepal. 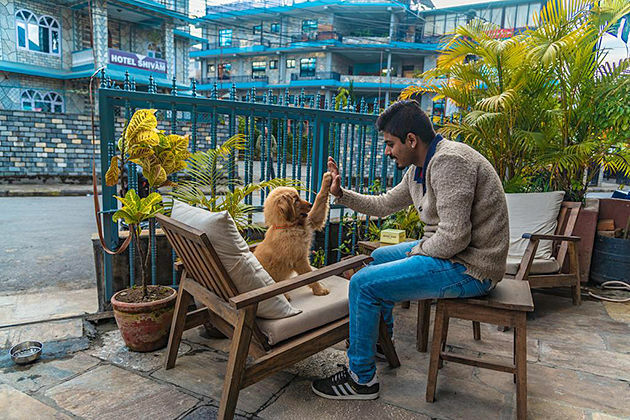 Once in Kathmandu, after a day of exploring the capital city, you really need a place that provides you comfort and convenience to release yourself for the day after. 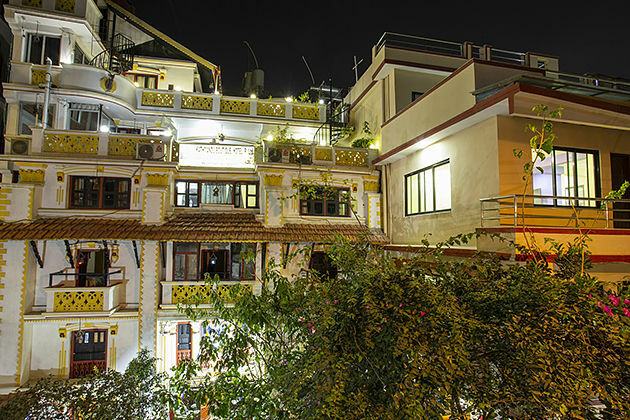 Then, Kumari Boutique Hotel will exactly be your thing. Nepal’s hotel offers you all its best like the very clean rooms with good facilities and views. I myself felt satisfied with the bed that I lied on and most importantly, I fell in love with the soft towel there that whenever I moved it on my face, it felt like my face was bumping into the baby’s skin. Staff at the hotel were very hospitable and kind. The restaurants, I swear, was excellent. You can have an Indian style meal as well as English or Nepali one. As far as I know, guests who visit this hotel are always warmly welcomed. During their stay there, great rooms with modern facilities, good food, and home-like feeling are what each individual could have. 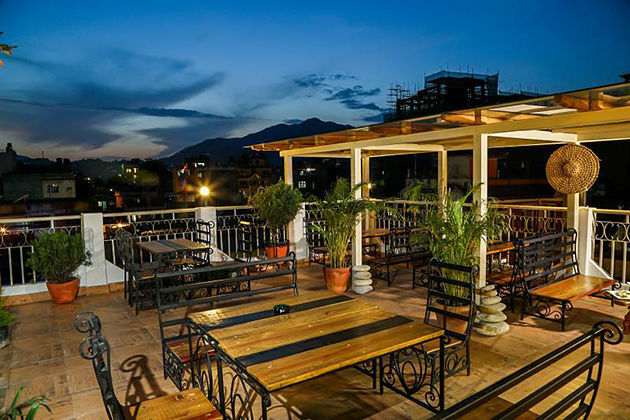 Moreover, the staff at the hotel can provide lots of useful information about the city like what are the best coffee shops in Kathmandu, what would be the good food that you have to try, and so on. 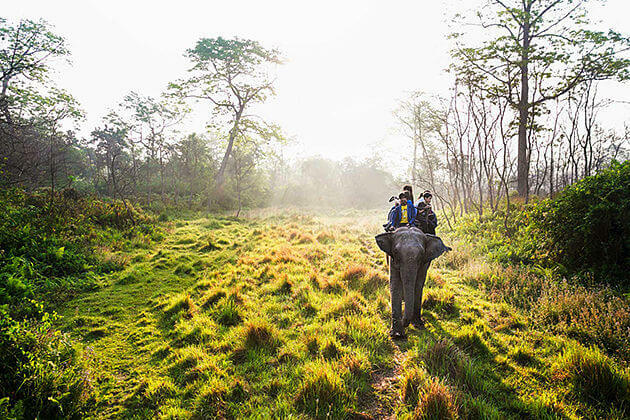 Generally, once there, travelers can have a very good time. 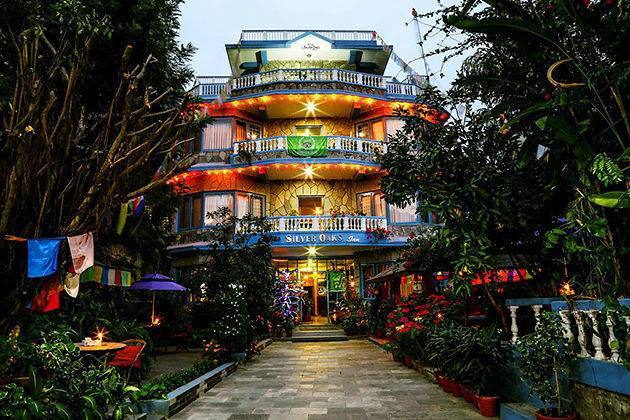 If you want to stay at a place that provides you an old-fashioned ambiance, what can be better than Kantipur Temple House? 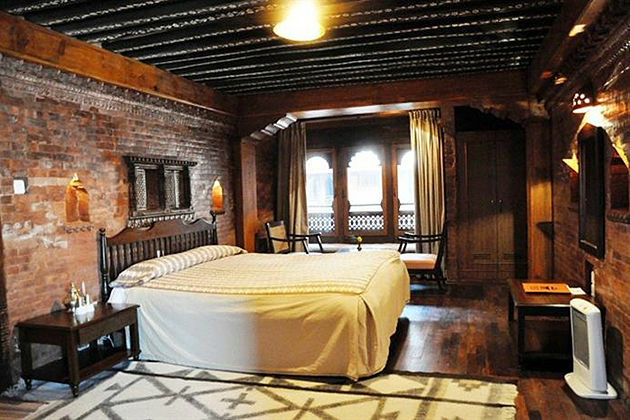 The hotel with the traditional Nepali architecture will give you an ancient atmosphere yet modern at the same time that can be seen in nowhere else. Contrary to the outdated outside look, the rooms there are very incredible with modern facilities yet the old-fashioned value still be remained and most importantly, I noticed that we had some environmentally friendly elements in the room like reusing of towels, eco-friendly lighting in the room, karuwa (water vessel) and glasses that were provided for drinking water instead of using water bottles. 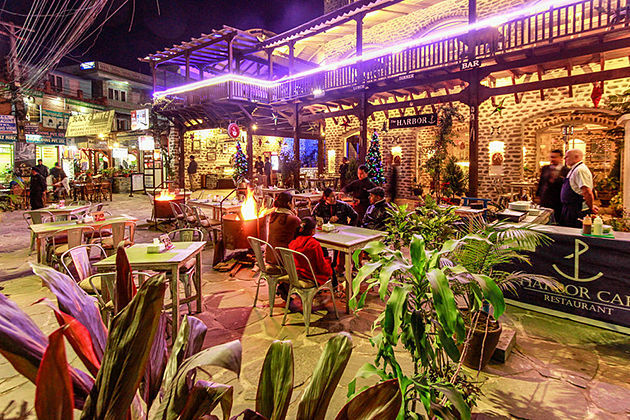 The restaurant serves good food with both Continental and Nepali cuisine. Staff at the hotel dress in traditional Nepalese customs and they are very friendly and adorable (from men at the entrance of the hotel, front office, restaurant to housekeeping staff). This is another excellent hotel that I highly recommend you should spend your time on. Once there, you will definitely be satisfied with the service as not only staff are well-trained and courteous but the manager is too. He always tries his best to do anything he can do to make sure that you have the best time at the hotel. Moreover, the restaurant and café there are better than others around. 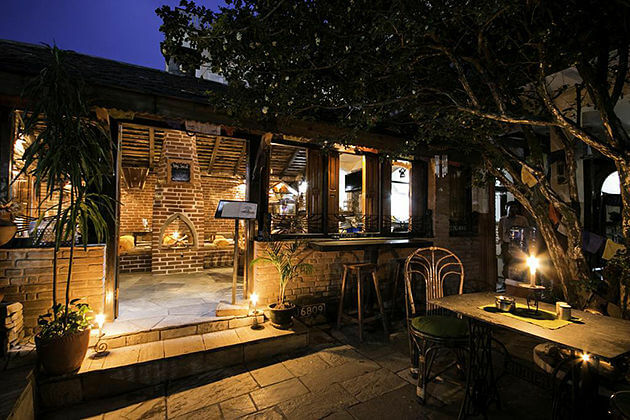 The location is perfect as it close to tons of entertaining places that allow you to enjoy, even the nightlife in Nepal. However, there is a drawback of this hotel that they have no elevator. 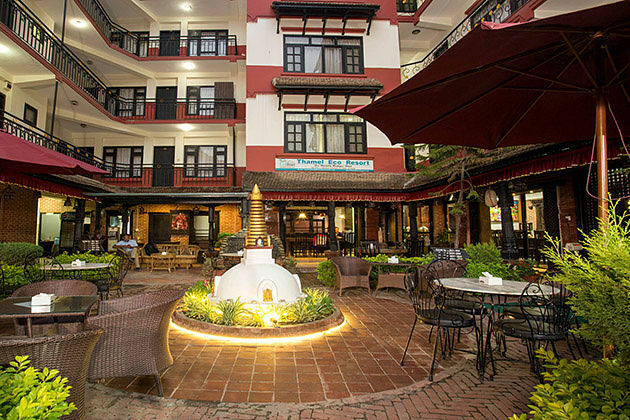 If you are getting bored with the hustle and bustle atmosphere in the capital city, why don’t you make your way heading to Kathmandu Boutique Hotel which located on a quiet street in the busy Thamel tourist hub? 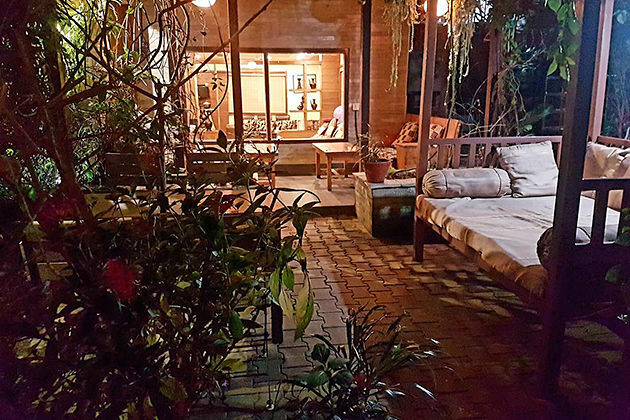 Spending your stay there, you will experience the tranquillity and serenity ambiance with a lovely courtyard where you can savor breakfast while indulging your soul in such a place of calm. 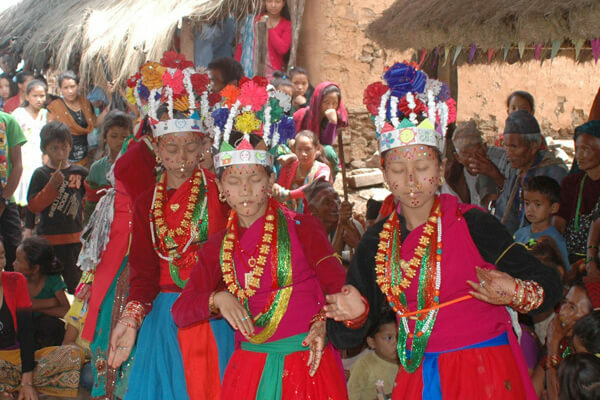 The staff here are courteous and adorable and most importantly, they can teach you some useful Nepali phrases. This is a 3-star hotel, but in my opinion, it must be more than that. Staff is super friendly and hospitable, especially the manager. 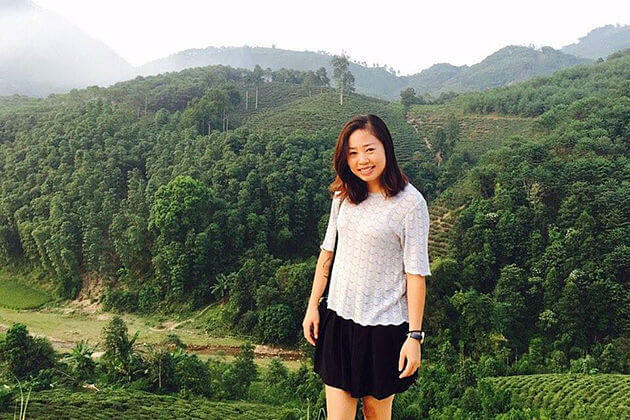 During my stay there, he helped me a lot as he helped us organize activities and book tickets. The breakfast of the hotel was also the perfect part as I could enjoy it and witness the stunning view of Phewa Lake through the window via my 3-floor room at the same time. Spa service was good too. Whenever the staff moved their hand, I felt so relaxed and happy. This hotel is expensive but it worth the money. I stayed in a quite large and comfortable room with the traditional design yet modern at the same time and the small balcony that offered me and my beloved partner a stunning view of the lakeside and hills. Staff was super nice and helpful whenever I needed some help. The courtyard restaurant was also a perfect part during my stay there as it offered a tranquil and natural atmosphere to just let loose while savoring meals. Generally, I would like to return to this hotel someday. The hotel offers many commodious rooms with amazing facilities and all of them are super clean and well designed. 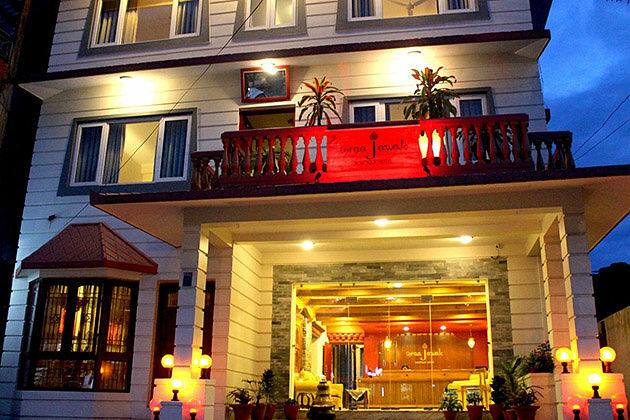 With the quite low price, I believe that there is nothing else in Pokhara that can compare to this hotel. 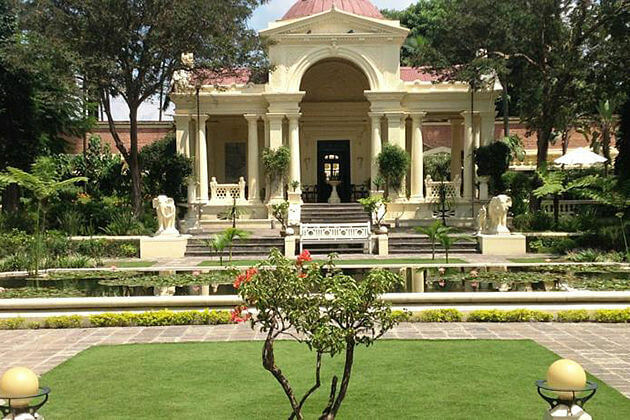 Your day can be perfect with a delightful breakfast in the serene garden. Could you imagine how amazing it would be when you enjoy your time like this? One more thing, the manager is surely a perfect host as he is always willing to help you whenever you need and he is available to give you recommendations about the food and drinks that you should try. This is a perfect place to enjoy after enjoying a trek as it provides you a tranquil ambiance of the Lakeside area. There is also a garden with plenty of greens inside the Inn for you to take it easy while enjoying your meals. About the facility, every room has its own wifi router; hence, you will get the best wifi possible to stay with others. 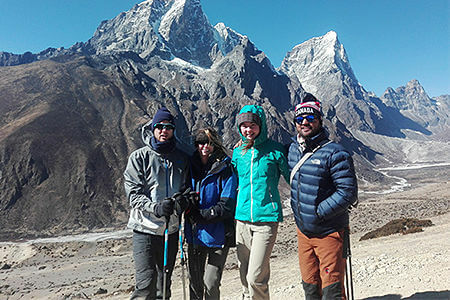 One more thing I should tell you that the staff there are very friendly and knowledgeable as you will find that there is no question about Nepal that they cannot answer. As the name of it – Blossom, when I first enjoyed my stay there, my mind seemed to blossom too. The room was ultra clean, the shower was great and I can admire the entirely stunning view of the Himalayas from my room. Food was good, but the highlight in the hotel was about the staff. They are very hospitable and adorable as they were always willing to stop for chatting with guests. Overall, I just have one word to describe this hotel. Awesome.